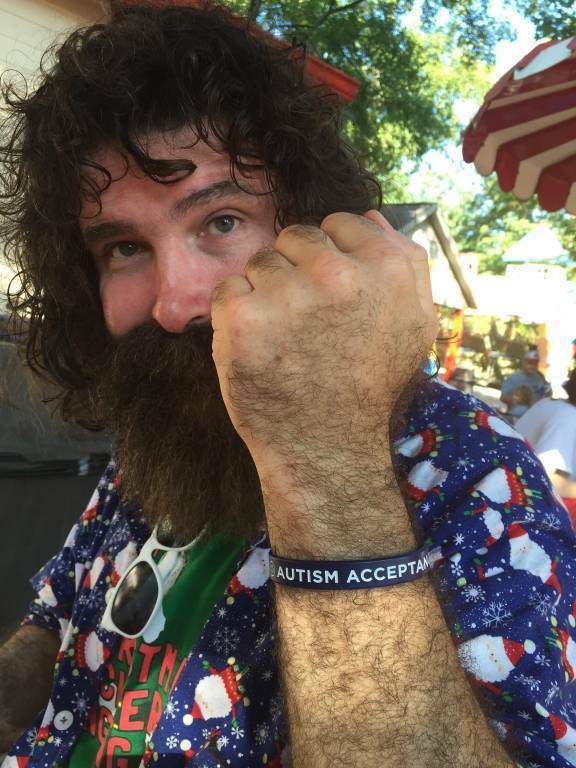 We post this photo of our pal Mick Foley on Twitter annually for Autism Awareness Day. He wears that Autism Acceptance band in honor of his son Mickey and the many others who deserve acceptance. And each year, a number of people tweet their thanks to Mick, on behalf of their children. … because it’s a wide spectrum that touches many families. Did you know we have a Calming Room? It’s available for our Guests with special needs who will benefit from a quiet, relaxing break from the park’s sensory stimulation. The room, which includes bean bag chairs, a small tent, rocking chair, couch, plus adjustable lighting, is located inside our First Aid building (the red-roofed building in Splashin’ Safari’s plaza). 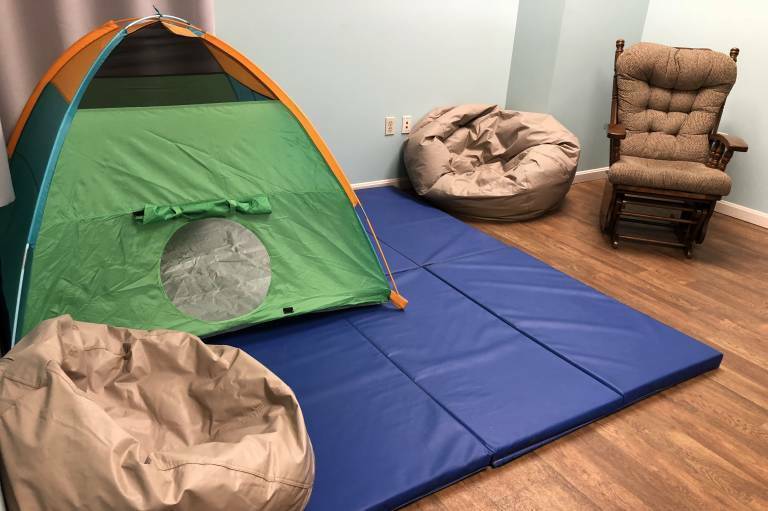 Park Guests may reserve our Calming Room for 30-minute sessions on a first come, first served basis at Guest Relations or First Aid. The Accessibility page on our website includes a variety of information. For example, is your arm or leg is in a cast? You can check which attractions are safe for you to ride. We even list where our manual-flush toilets are located (thanks to the mom who asked us for this). Here’s the link to our 2019 Accessibility Guide. There’s lots of information included in the guide, to help with planning your visit. Please take a look there for height and weight limits, health restrictions, cast information, pool-water depth, and more. Awsum… My son gets irritated after awhile at the park and that would help calm him give him time away from the loudness and crowd.. Wonderful! Holiday World is truely the leader in comfort, cleanliness and fun. It is wonderful that Holiday World created a way for those with autism to refresh and unwind. Great example of compassion! Leaders for all! This is wonderful factor you all have come up with. So thoughtful . I imagine their are very few parks who think of others like Holiday World does, very family oriented. Thanks for your thoughtfulness.